Brazil’s Via G magazine included the Riviera Nayarit among the top honeymoon destinations in the world for the LGBT segment. 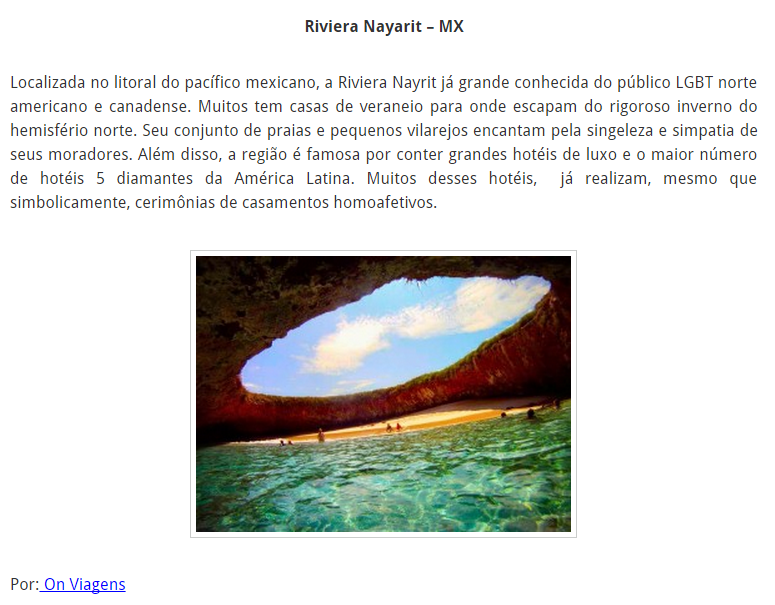 The Brazilian magazine Via G has published another article that included the destination in addition to the results obtained from the initial negotiations between the Riviera Nayarit Convention and Visitors Bureau and the South American publication, which specializes in the Lesbian Gay Bisexual and Transexual (LGBT) market. The article in question is titled “The Best Destinations for Gay Honeymoons,” and is a listing of tourism destinations that include Mexico’s Pacific Treasure.